CX Journey™: How Convenient are Your Customer Conveniences? How Convenient are Your Customer Conveniences? Have you taken a look at some of the conveniences that you offer your customers to see if they really are as convenient as you had meant for them to be? 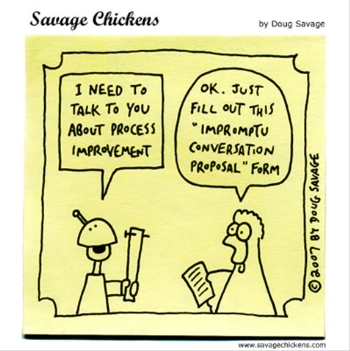 Is it time for process improvements? Is it time to clean house? I wrote a blog post on Black Friday called "Are You Ready for Black Friday?" The point of the post was that you shouldn't have to "get ready." You should always be ready, regardless of the time of year. And this is probably not a good time of year to introduce some major new process that you thought was all cool when you came up with it. The story I'm about to tell makes about as much sense as this Savage Chickens cartoon. On Monday night, I was shopping for a gift that shall remain nameless because I know that certain little eyes occasionally read my blog post. The item was nowhere to be found at a price less than an arm and a leg, and I thought, "Oh boy. I'm THAT mom. The one that didn't plan ahead and either doesn't find the gift or pays the exorbitant price as her penance." I checked with my best friend, knowing she had recently purchased said gift, and she told me to get it at GameStop, where she got it for what appears to be the best price in town. 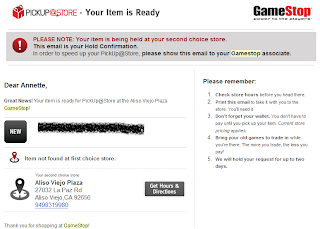 I went to the GameStop site, and there it was - still listed at that price. But, sigh, not available. Out of stock. OK, here come visions of me doing the math, making the trade-offs in my head, etc. I refuse to pay the exorbitant prices. There must be a better way. AHA! I see this option on the page: check availability to PickUp@Store. Yes! Yes! From the comfort of my sofa, I can find a nearby physical store that has it and then go pick it up. I typed in my ZIP code and up popped a few stores. Definitely not the ones closest to my house, but if it meant not having to do the math and making some shopping trade-offs, I would drive a little further. I assumed they showed the stores with availability, and those closest to me just didn't have anything in stock. Fair enough. Whew. Tragedy averted. I would sleep well. 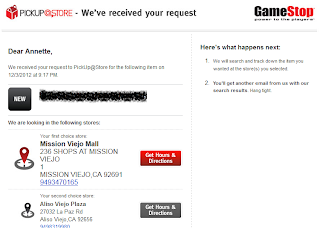 The next morning, within minutes of each other, I received both an email (shown below) letting me know that the item was being held at my second-choice store and a call from the store letting me know that the item was available and being held for me. I let the woman who called me know that I'd be in that day or the next. She confirmed that that would be fine. She told me that they didn't have the item in black but in white and asked if that would be OK. Yes! Great! I'll take the purple polka-dotted one! It turned out that I was able to go to the store that afternoon.When I arrived at the store, I let the guy behind the counter know that I had come to pick up an item that I had been called about earlier. He found my "reservation" in the computer and started to run through some upgrade options with me. It wasn't a hard sell, but I just needed to pick up and go. He rang up the item. And THEN I found out that I wasn't actually picking it up at the store. He started talking about free shipping, with the item arriving in 5 to 10 days. Whoa, whoa, whoa! I'm here now. To pick it up. What do you mean "free shipping?" It was an hour of my time plus the gas for the trip. The item wasn't physically at the store. Where's the product? 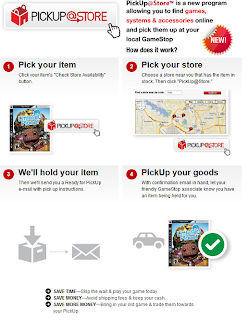 It's called "PickUp@Store," not "Drive2Store2Pay&Wait4Shipment." He said, "Oh, someone else asked about that earlier." Gee, ya think? He then explained that it was a new program but didn't go into too much detail about why the product wasn't at the store. Honestly, I was so disgusted that I didn't even ask. I didn't want to hear him make up excuses for something that he clearly had no control over. All I asked was his opinion on the benefit of this process, if I had to drive all the way over to the store, anyway. 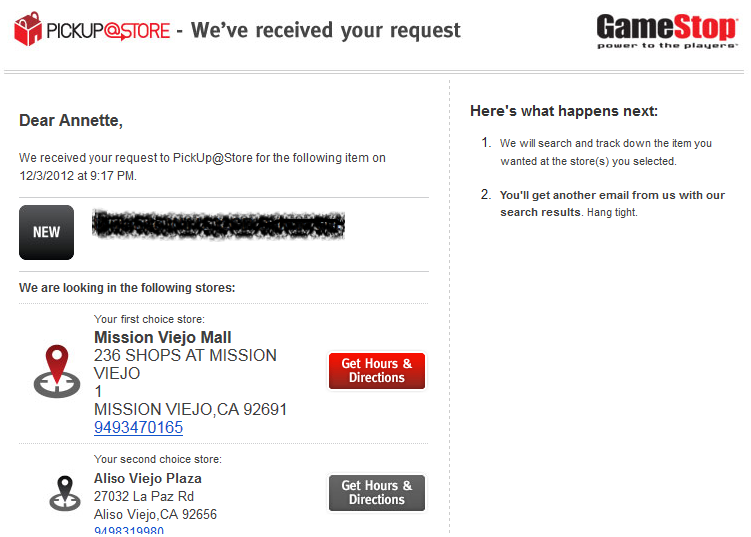 And mind you, there are several GameStops closer to my house. His answer? "Free shipping." Given the choice and weighed against my time and the gas to get there, I'd have paid for the shipping. Why couldn't I have gone through the same exercise at the GameStop that's about 1.5 miles from my house? Why couldn't I have just done the same thing through the website? Why couldn't I pick up the item at the store? And to make matters worse, the item was available again on their website! And still is right now. In black. I've used similar "ship to store" options in the past, and they worked out just fine. 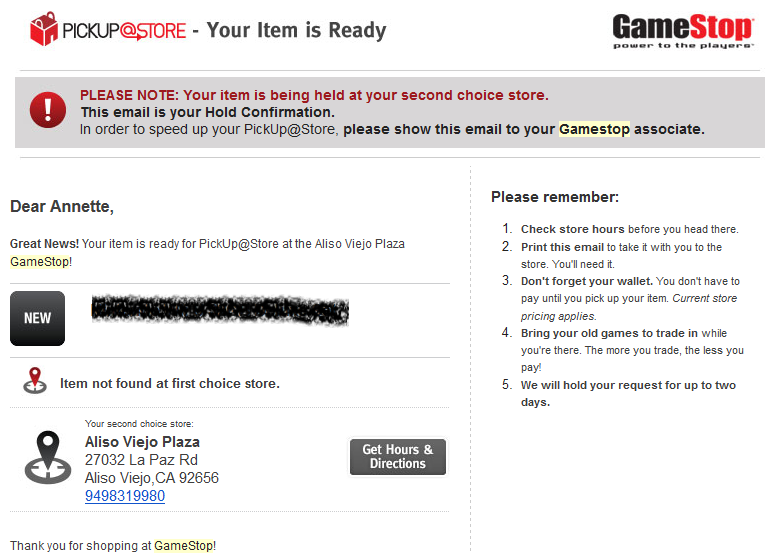 But GameStop messed up. Don't introduce new processes during high-volume times, like holidays, new product launches, etc. Don't introduce new processes without first testing them to make sure they work and/or make sense. Think about the customer experience. For the woman who called me: Be honest with your customers. Provide all the details. For the man behind the counter: Know your customer. Be upfront about the details that matter. Don't upsell me. Give me what I came for. When was the last time you reviewed your processes to ensure that they still make sense and that they make for a great customer experience? 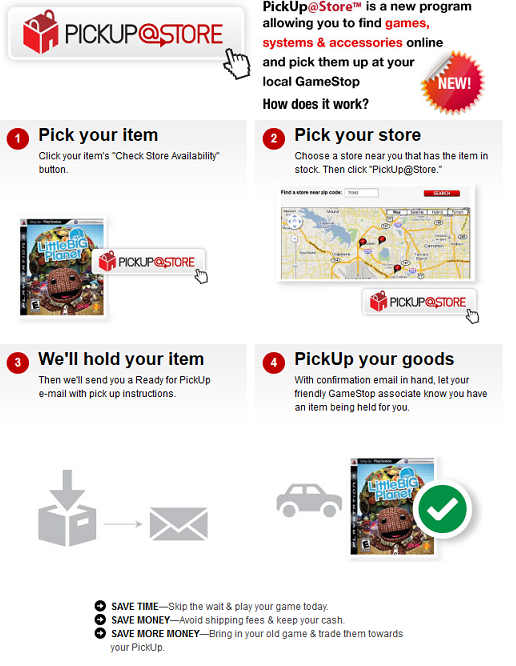 I hope GameStop fixes this process in the near future. For now, this process and this experience was, as my kids say, an epic fail. So sorry to hear about the service failure you experienced, Annette, but your points are right on target. I suspect there are one of two reasons why you didn't get better service from the people involved. First, when people are a part of a system, it's hard for them to see the whole thing. Hence, the woman you spoke with over the phone didn't have the presence of mind to see things from your perspective. Second, when people are a part of a broken system, they often get so frustrated they become numb to it and stop caring. Sad that this happens, and certainly not an excuse, but I believe if companies fix these systems they'll likely get much more from their people. Wow. Sorry about your process breakdown, as well. We were on the same wavelength today. :-) That's a crazy story. 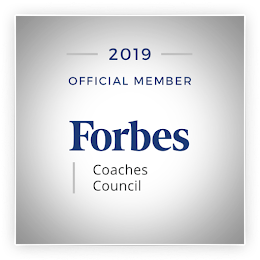 I've written previously about how partners are part of your customer experience ecosystem, too, and need to provide a seamless experience. You're upset with Whirlpool, but they have no control over the situation or the outcome. It's crazy. I agree with your points above. Now we just need to get companies to make these fixes. Minor detail. I hate when that happens! If a company is going to try a new program, they should test it – then test it some more. Once it goes live, it’s no longer a rehearsal. It’s real. Brands have been made and broken because they didn’t test, survey, practice, etc. Thanks, Shep! I hate it, too. I'm still scratching my head that this played out the way it did! Thank you, too, for sharing this post on Facebook.